One week ago we went to the center of the island and we collected almost 10 kilos of walnuts. They were early this year and we arrived before the rush, so we could collect quite a lot of nuts. The ground was covered and just a little movement of the branches made lots of nuts fall down from the tree. The big advantage is that we will have plenty of nuts for the rest of the year. The disadvantage I noticed a bit later. 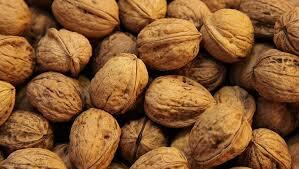 It seems there is something in the nuts that is also used for those self tanning cremes. Some stuff that makes your skin nice and brown. The disadvantage of picking up all those nuts was that some needed to be peeled and taken out of their skin, and I used my thumb to do this. Now, one week later, after cleaning a big part of 10 kilos I still have a dark brown thumb. I for one have never done it before. On the local fair there was an attraction where you need to hit a small iron thing with a big hammer. It is called “De kop van Jut”. If you hit it correctly a small piece of iron goes flying up, and the higher it reaches, the better you have hit it. The concept of this game has never quite appealed to me. When Alex and I were checking out the fairground, a day before the opening, it was exactly this attraction that called for Alex’ attention. The attraction was still covered in some plastic, but after explaining how it worked Alex instantly knew he wanted to give it a go and it went first on his list of things to try. The concept of taking a big hammer and hitting something as hard as possible (or even harder) was something his fell in love with at the spot. Eventually Alex took his first massive hit, the machine barely survived and all alarms went off and Alex loved every moment of it.